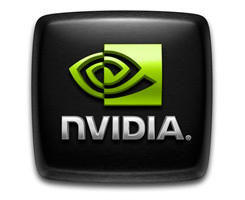 On this page you can download NVIDIA A New Dawn DirectX 11 Demo. NVIDIA released the 'A new Dawn' technology demo. We have it available for download. You can discuss this DX11 technology demo right here. Fast forward ten years, and NVIDIA has brought back Dawn once again, in a demo simply titled "A New Dawn". The original Dawn demo had many merits, but due to the limitations of hardware at the time, it also took many short cuts. One of the most obvious was the fact that Dawn didn't really have a home. Fairies, as we all know, live in the depth of mysterious forests, but for Dawn, her home was a giant glowing cube map—a six-sided texture that represented the environment around her. She had no trees to climb, no bees or butterflies to play with. She was a very lonely fairy. Because hair is so thin, aliasing is a major problem. Traditional antialiasing doesn't work well here, as a strand is often smaller than a pixel and may not be picked up by any of the four-or-so sample points. To alleviate this problem, A New Dawn has a special hair smoothing shader that inspects each strand and blurs them in the combing direction. The final result looks soft and silky, as if she just jumped out of the shower after an extensive conditioner routine. Dawn's skin has also received a complete overhaul. Human skin is one of the trickiest materials to simulate. Unlike a concrete object that only absorbs or transmits light, human skin is more akin to a block of jelly; light enters, jiggles around in multiple layers of skin and flesh, and exits in a new direction. The technique used to simulate this complex series of interactions is called sub-surface scattering. Note: If you have problems downloading NVIDIA A New Dawn DirectX 11 Demo, please try to stop using your download manager and avoid right clicking on files. Also, check your firewall settings, because some mirrors may require that you do not block the HTTP referrers.